Philanthropic endeavors have leaders who believe in the cause and champion for it! For a decade, Charlie Sursa and Fred Reese have been particularly instrumental in Meridian’s philanthropic efforts and are being recognized as recipients of Meridian’s 2019 Spirit of Meridian Award. Meridian Health Services has acquired the Madison County Community Health Center, and plans to expand its services in the county. The change is effective immediately, according to a news release issued by Muncie-based regional health care provider. Meridian Health will acquire all Community Health Center assets and liabilities, although precise financial terms of the deal were not disclosed. Meridian has already announced details about the event so guests can start planning their night out in downtown Muncie. Here's what we know so far. Immediately after hearing of the school shooting incident at Dennis Intermediate School, Meridian Health Services staff were dispatched to the school to respond to the needs of students and staff. Therapists, Behavior Clinicians and Clinical Supervisors from Meridian’s child, foster care and adult services spent time meeting with distraught students, reassuring safety, and assisting them to debrief what they saw and heard. Meridian staff remained at the school until the last of the students were sent home with their parents. The Assistant Superintendent of Dennis Intermediate School was informed that Meridian will be available for whatever needs they may have. While Meridian’s staff provides services to students in the school, no Meridian staff were present during the time of the incident. When journalist Sam Quinones pursued his first book on the opiate epidemic, he assumed it would be focused on the criminal aspect. But as he told the audience during Meridian Health Services' community speaker series event Thursday, he found that addiction spreads far beyond crime. He spent several years documenting these components for his book, Dreamland: The True Tale of America's Opiate Epidemic. Attendees of the Muncie Bridge Dinner on the Washington Street bridge enjoyed local food vendors, live music from the Muncie Central Jazz Band and the Ball State School of Music as well as a bird's eye view of the Duck Derby race which raised funds for Meridian Health Services Thursday evening. It was evident the opioid crisis hits close to home for many local residents as a group of 1,000 echoing voices within the Horizon Convention Center quickly fell silent Saturday night. We’re edging closer and closer to Rialzo, and a selected group of guests got a sneak peek of what the annual charity gala will entail. Meridian Health Services held a Rialzo preview party — the party before the “purpose with a party,” if you will — which gave corporate sponsors and special contributors the first look at what the gala will offer this year, including a long list of silent auction items. Meridian Health Services’ Rialzo, its annual charity gala, will have a distinctively magical feel this year designed to focus on the new Maternal Treatment Program. We know the dress colors. We know the cause. And after a press conference Wednesday, we know what theme and band Meridian Health Services has chosen for its ninth annual Rialzo charity gala. Meridian Health Services has been awarded $100,000 in supplemental funds from The Ryan White Fund for its growing HIV program. Through this funding, care coordinators will be able to expand on the services currently being provided in Blackford, Delaware, Grant, Jay and Randolph counties, according to a release. Those planning to attend Meridian Health Services' ninth annual Rialzo charity gala can go ahead and start looking for their evening attire. Meridian announced the event's theme colors early Tuesday on its Facebook page, giving guests a chance to purchase any dresses, ties and accessories with a four-month head start. Meridian Health Services is still going strong on bringing evenings of holiday magic through their annual drive through lights display. Having started in the first weekend of December, the Suzanne Gresham Center campus, 3620 W. White River Boulevard, hosts as many cars full of families that it can allow through in the time frame of 6-9 p.m. during nights of operation. Meridian Health Services, 930 N. 14th St., New Castle, hosted an open house and ribbon cutting Thursday to introduce primary health care services and welcome Dr. Bedford. Meridian Vice President of Marketing Beth Clark described the facility as a one-stop shop for personal health and noted Meridian is open to all Henry County residents. Fees are based on a sliding scale based on income and the not-for-profit community health organization serves the insured as well as the uninsured. Hours are 9 a.m. to 6 p.m. Monday through Friday. Call 765-521-2450 with questions. With the drug problem rising in Jay County and surrounding areas, it is becoming increasingly relevant to raise awareness and educate the community about drug abuse. Meridian Health will be holding an event that focuses on this issue and encourages children and teens to make positive choices. The second annual Project SAFE (substance awareness and family education) event will be held from 11 a.m. to 2 p.m. Saturday at 115 E Water St., Portland. Armed with paddles and straddling giant, inflatable ducks competitors raised awareness for the prevention of child abuse while going head-to-head in the tenth annual Duck Derby race Saturday morning. The White River race, hosted by Meridian Health Services, raised funds for Meridian’s Child Advocacy Center through donations and corporate sponsors. An ambulance pulls up outside Meridian Addictions and Treatment Center, bringing another patient to battle addiction. The new patient passes through the glass doors into a bright, welcoming sunroom furnished with tables and chairs for art and other activities. Shelves house stacks of jigsaw puzzles. From there, two more glass doors lead deep into Richmond’s newest residential addiction treatment center. It’s the area’s newest tool to save lives. Reid Health and Meridian Health Services come together to tackle substance abuse at the regional level. One doesn’t always see an acute care hospital and a community health organization specializing in behavioral health partnering together this closely—that is, until the opioid epidemic hit. “It was time to stop the bleeding,” said Hank Milius, president/CEO of Meridian Health Services in Muncie. MUNCIE — Meridian Health Services' Fam Fest Health and Fun Fair and Ducky Derby will be Aug. 26. 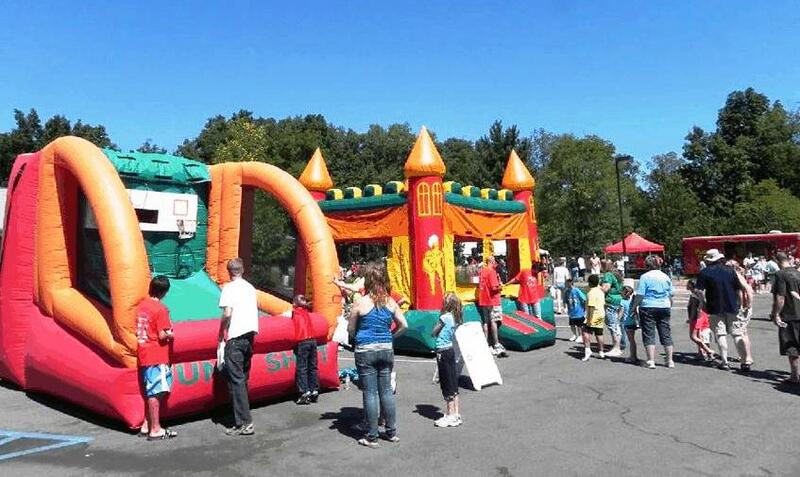 The free family event will offer games, inflatables, prizes, food and drinks, health screenings and resources, sports clinics in basketball, baseball, dance, volleyball and more, mascots and entertainment by the Berenstain Bears Live, three BMX stunt shows by Solution Action Sports and musician Greg Rhodes. Raising awareness to the dangers related to substance abuse may never be as much fun. Organizers of Hartford City's first Project SAFE say it's a program no one will want to miss. Sponsored by Meridian Health Services of Portland, Project SAFE (Substance Abuse Family Education) will not just include lots of food drinks, carnival rides, a bouncy house, vendor booths with interactive activities and giveaways, but there also will be information provided specifically related to substance awareness and recovery as well as programming for kids in Blackford County. A series of grants totaling $500,000 is helping to reshape how future doctors are trained in Muncie. Two Meridian Health Services programs have been named winners of Decision Health’s nationally recognized Platinum Awards. MeridianMD, Meridian’s primary medical care division, won the “Outstanding Performance in Community Care Setting – Integrated Care Networks” category, while Meridian’s School programs won first in the “Outstanding Achievement in Care Coordination Specialty Programs – Behavioral Health” category, according to a release. It must have been an uncomfortable question Hank Milius, president and CEO of Meridian Health Services was asked: "What are we doing with addicted babies?" The answer, he said, was nothing. That was several years ago, and the person asking the question was his wife, Terri. 2017 City Fit was a success! More than 500 people were part of Meridian's successful annual City Fit! It was a fun-filled day packed with a free 4K Color Run, health resources and group exercise classes. Check out our City Fit 2017 flyer! Meridian's City Fit made the front cover of the Pal-Item. Check out the Pal-Item photo gallery! Meridian Health Services has been named a finalist in two categories of Decision Health’s Platinum Awards, putting it among ranks of other national health care organizations, according to a release. Thanks to the help of community members and partners, Meridian Health Services will be dedicating more than $150,000 toward the organization's maternal treatment program for drug addicted pregnant mothers and their newborns, according to a release. Jay County Hospital has collaborated with Meridian Health Services to offer additional healthcare accessibility to the local community. The two healthcare organizations have opened MeridianMD Convenience Care, a walk-in clinic that provides same-day treatment for minor illnesses and injuries. April is National Child Abuse Awareness Month! Meridian Health Services and its Child Advocacy Center are making a difference in combating abuse and helping children and families find healing and justice. Hank Milius, president/CEO of Meridian Health Services, has been awarded the 2017 Al Rent Spirit of Muncie award presented by the Muncie-Delaware County Chamber of Commerce. Tickets to Meridian Health Services' annual fundraiser, Rialzo VIII, "There's No Place Like Home," are officially sold out. A spokesperson for Meridian said the April 8 event at Horizon Convention Center is sold out for the fourth consecutive year. Meridian Health Services is proud to announce Jim McClelland, Indiana’s Executive Director for Drug Prevention, Treatment and Enforcement, is presenting this year’s Spirit of Meridian award at Rialzo VIII in April. Meridian Health Services has named Amelia Clark as its new regional vice president for Delaware and Madison counties. Clark began working with Meridian in 2012 as vice president of community health. During her tenure in the position, she expanded Meridian’s integrated care program to 13 sites in five counties. If you're planning on following the "Yellow Brick Road" to Rialzo VIII on April 8, now's the time to purchase your ticket — and get a head start with bidding on the fundraiser's auction items. How does a $20 million community mental health center (CMHC) become a $128 million full-service health and human service provider organization in 14 years? It’s 6 p.m. on a Friday. Your 2-year-old awakes from a nap crying. You feel her forehead. Your daughter’s pediatrician won’t be open to see patients until Monday. In an elementary school classroom, Nancy Scott helped a student with spelling by tapping the desk. The soft sound was a reminder to pay attention and listen to the word the teacher was reading. Meridian Health Services played a part in a Ball State immersive learning project run by students, which focused on the Muncie area’s meth problem. Our very own Amelia Clark, Vice President for Community Health, joined a distinguished panel of experts in addiction care during the documentary’s premiere at Muncie Civic Theatre. While efforts to combat the local and national opioid crisis and its heavy impact are increasing, a local health center and community partners are taking further steps to treat those with addiction, including the smallest, most helpless community members. Sarfraz Khan has received the American Psychiatric Association (APA) Distinguished Fellowship award, the highest honor the APA bestows upon its members, according to a release from Meridian Health Services. When Hank Milius was hired as Meridian Health Services CEO 15 years ago, one of his first duties was finding the organization a new board member. He needed someone "smart, credible, a visionary. Someone proactive with the ability to bring people together." Milius asked his boss at the time, Ron Fauquher, if he knew a candidate. Fauquher immediately answered, "Mr. Muncie." Meridian Health Services was included on a story that aired on WISH TV about child abuse and featured an interview about our Child Advocacy Center with Gerry Cyranowski. "Follow the Yellow Brick Road" to Rialzo VIII on Saturday, April 8, 2017 at Horizon Convention Center. Find your best green suit or dress, as the theme for Meridian Health Service's annual fundraising event is "There's No Place Like Home." The 2017 theme and more exciting details were announced Wednesday during MHS' annual Ornament Auction event at the Suzanne Gresham Center, 3620 W. White River Blvd. Traditional holidays of togetherness, giving and receiving are here once again. We gather and give thanks, and enjoy the company of those we love. In the early holiday spirit, here is one way to spread the joys of giving and receive something precious in return: Stop Smoking or using tobacco products. Walnut Commons, an apartment building for the homeless, has added a medical clinic, won an award and turned away several hundred prospective tenants since opening a year ago. The Muncie-Delaware County Chamber of Commerce honored J. Allan Rent with their 2016 Legacy Award. The Gala Event held at the Horizon Convention Center, had over 300 guests. Hundreds of people lined the north bank of the White River, just west of the Tillotson Avenue bridge, on Saturday morning to ensure all their ducks were in a row. The spectators watched as more than 6,000 rubber ducks, which were dropped into the river from the bridge above, made their way — slowly but surely — toward the finish line about a quarter of a mile downstream. It's going to be a day for the ducks once again during Meridian Health Services' annual Fam Fest 10 a.m.-1 p.m. Saturday, Aug. 27, at the Suzanne Gresham Center, 3620 W. White River Blvd. Community members of all ages are invited to the free festival, and MITS buses will provide transportation with a special Saturday bus stop at the Gresham Center. Area residents can start Saturday in Glen Miller Park learning about fitness through City Fit and conclude the day near the park pond learning about art and music through City Life. City Fit, organized by Meridian Health Services, starts at 9 a.m. with the Wayne County 4-H Color Run at the former Glen Miller golf course. Thousands more Hoosiers will get help for their addictions, thanks to new federal grant money. Four Indiana health centers, including two in central Indiana, received a total of $1.5 million as part of a larger $94 million pot from the U.S. Department of Health and Human Services. Meridian Health Services in Muncie received $325,000 and the Health and Hospital Corporation of Marion County, through Eskenazi Health, received $380,000. Amid heightened concerns about opiate addiction, Meridian Health Services has received a $325,000 grant to expand its addiction treatment services. The U.S. Health and Human Services grant will expand Meridian's Medication Assisted Treatment program, for therapies using medications such as Suboxone, according to a release. Meridian Health Services’ Connxxions program is designed for people with dual diagnosis-both mental and intellectual/developmental issues. Thinking about going to Rialzo VII? You may want to think fast. Tickets for Meridian Health Services annual fundraiser are almost sold out. Meridian Health Services has adopted a tobacco policy that it hopes other workplaces will implement: no designated smoking areas and employees not permitted to smoke while on the clock. The policy stops just short of IU Health Ball Memorial Hospital's rules that prohibit employees from smoking even during breaks/lunch hours. "Reaching Out" is partnering with Meridian Health Services to offer free breast exams! Free Clinical Breast Exams provided by Meridian Health Services' physicians and nurse practitioners. Mammograms, if recommended, will be scheduled for a later date. Mammograms offered at no charge for women who qualify. "Reaching Out" is a collaborative effort facilitated by Cancer Services of East Central Indiana - Little Read Door. If you've ever wanted to visit the moon, Meridian Health Services' annual fundraising gala might make you feel like you're there. Rialzo VII, "Shooting for the Stars" is set for Saturday April 9, 2016 at 5:30 p.m.
Mayor Dennis Tyler sees the new Walnut Commons apartment building for the homeless and the new Courtyard by Marriott hotel as downtown bookends. "Three-and-a-half years ago, people said 'no' to this," Tyler said at a ribbon cutting and open house on Tuesday for the $8.4 million, 44-unit Walnut Commons. "Three-and-a-half years ago, people said 'no,' we would never have a hotel in downtown Muncie, especially one with a training center for people with disabilities to learn how to work in the hospitality industry." Construction is winding down on an $8.4 million downtown apartment building that was chased out of a southside neighborhood. One of the tenants is an alcoholic man suffering from mental disorders/brain injuries who had been sleeping behind some shrubbery near the front entrance of a building along Tillotson Avenue. The results for Rialzo VI are in, and they're even better than expected, event organizers said. This year's event was the second year in a row Rialzo was sold out, Meridian Health Services director of marketing Beth Clark said. Planning to attend this year’s Rialzo soiree? Then get your outfit from the dry cleaner and reserve your tickets, because the event is on April 11 and tickets are almost gone. The Holidays at Gresham lights display continues this weekend. More than 80,000 lights will be on display 6:30-9:30 p.m. this Friday, Saturday and Sunday, Dec. 19-21, with free admission, with free admission to the drive-through display at the Suzanne Gresham Center, 3620 W. White River Blvd. More than 80,000 dazzling lights will brighten the weekends leading up to Christmas with Meridian Health Services’ Holidays at Gresham, a drive-through holiday light display. Beginning this Friday and continuing for three weekends, visitors to the campus of Meridian’s Suzanne Gresham Center, 3620 W. White River Blvd., can take a guided tour through the free display. If you have already seen it, then you must tell others about it. If you have not seen it, then you must try to go. What is it? Holidays at Gresham. What a wonderful holiday surprise. Meridian’s own Eldon Solomon was one of the featured panel experts on WIPB-TV’s Wellness Matters in November. The topic of the program dealt with suicide prevention. Meridian Health Services is bringing Little River Band — a 1970s soft rock group that produced 13 Top 40 hits — to Muncie for Rialzo VI. Rialzo, Italian for “to elevate or rise above,” is Meridian’s annual black-tie charity gala to raise funds, hope and the organization’s profile. Previous performers have included The Pointer Sisters, Kool and The Gang and Three Dog Night. Mother Nature cooperated with perfect weather Friday and Walnut Commons site supervisor Tom Kimmel spent the morning with his cellphone glued to his ear, urging his crew to seize the opportunity to move forward in construction. "I got one day. That's what I keep yelling at my concrete guy. 'Come on, man. You've got to make hay while the sun is shining,'" said Kimmel, wearing a hard hat and drenched in sweat as he stood in a trailer on the northside of the property. "I can't let these days go by." Jose Gaiten liked the new neighbor that will provide housing and help to veterans with disability, age or those without a home. Walnut Commons will be that place across from American Legion Post 19 at Walnut and Wysor, where the old Muncie Armory stood more than 30 years ago. Also home to Goff's Drive In and local chamber and United Way offices, the site across from the Muncie Fieldhouse will have 44 apartments by 2015 dedicated to serving veterans. One homeless person is one too many in the mind of Susan Buckingham. That is an opinion shared by countless others at Meridian Health Services, which is taking action to reduce the number in Delaware County. Buckingham said she first explored the prospect of a supportive housing project in 2008, and through seven years of networking, that possibility will soon come to fruition. The long-awaited groundbreaking ceremony for Walnut Commons will be at 10 this morning at the Wysor and Walnut streets, across from the Muncie Fieldhouse. Work is due to begin within a month on a Muncie project aimed at providing housing for people in need of support services such as some veterans, disabled and people at risk of being homeless, officials said. Our very own Katera Huff, LCSW was featured as a guest on the show Wellness Matters. The show discussed winter wellness including diet, nutrition, exercise, realistic goals for new year’s and the winter blues. Thanks again for representing Meridian! Denise Reeves, an OB/GYN and founder of the Muncie Women’s Center, is now a doctor with Meridian Health Services. This year, families will have more ways than one to get into the Christmas spirit without opening their wallets. Beginning Sunday, the Suzanne Gresham Center, a division of Meridian Health Services, will welcome East Central Indiana families to their inaugural “Holidays at Gresham” event, a drive-thru light exhibit with 64,000 lights and, if all goes well, an animated, talking reindeer. The fundraising gala for Meridian Health Services has welcomed high-energy, well-known acts to their event and the 2014 Rialzo is no exception. Eighties rocker Rick Springfield will headline this year’s annual event, following past acts such as Kool & the Gang, Pointer Sisters, Three Dog Night and the Fifth Dimension. Meridian Health Services has been awarded through the Health Resources and Services Administration (HRSA) to expand primary healthcare in east central Indiana. Meridian Health Services was featured on the front page of the New Castle Courier Times newspaper. A Community Forum for HIV/AIDS in Muncie tomorrow with Randy Lykens representing Meridian Heath Service's HIV Care Coordination program and resources. People with mental illness die earlier than the general population and have more co-occurring health conditions. 68% of adults with a mental illness have one or more chronic physical conditions. Free screenings for depression will be offered from 9 a.m. to 2 p.m. Thursday at the Meridian Health Services offices on the second floor at 630 E. Main St. in Richmond. The Delaware County chapter of NAMI (National Alliance on Mental Illness) is offering a free Family-to-Family Education program starting September 19th. This is a 12 week course specifically designed for caregivers of individuals with severe mental illnesses. MUNCIE — The late Eileen Moore, advocate for all children, enjoyed community activities that gave families time to have fun together. She saw these events — such as the annual Gresham Health and Fun Fair — as opportunities for families to relieve their stress and remember what they love about each other, building memories to fall back on when times got tough. MUNCIE — Supporters of Meridian Health Services are still singing “Joy to the World” after the success of the agency’s annual Rialzo fundraiser. During the fourth annual gala event, Meridian raised $85,000 from ticket sales, auction items and direct appeals for funds during the evening that featured Three Dog Night, more than double what the organization raised in 2012. MERIDIAN’S GERIATRIC PSYCHIATRIC SERVICES program - a collaborative project with IU Health Ball Memorial Hospital - is only a few years old, but already has made a difference. MERIDIAN HEALTH SERVICES’ CONNXXIONS PROGRAM is designed for people with a dual diagnosis - both mental and developmental issues. Dr. Saber Bahrami is a remarkable man. Just ask anyone who knows him. Born in Afghanistan, his youth was spent in abject poverty. He was the only one of his mother’s children to survive infancy. His widowed mother and her brother somehow orchestrated an education for Dr. Bahrami. Once in high school, he eagerly participated in a youth exchange program, spending a year in Missouri. MUNCIE — Three Dog Night is used to singing “Jeremiah was a bulldog” in front of sold out crowds, and that will definitely be the case in Muncie. The band will headline Rialzo IV, the gala fundraiser for Meridian Health Services. MUNCIE — Should teachers be armed with more than lessons in the classroom? In the wake of the mass shooting in December at Sandy Hook Elementary School in Newtown, Conn., lawmakers in at least five states have proposed bills that would allow teachers to carry handguns. MUNCIE — All the hip-shaking and toe-tapping during the annual Rialzo gala for Meridian Health Services does more than support the agency. From the time of the fundraiser’s creation, three arts partners — Muncie Civic Theatre, Muncie Symphony Orchestra and Cornerstone Center for the Arts — have been beneficiaries to the gala, not only financially, but in terms of networking as well. MUNCIE — The time is now for the community to break the stigma often surrounding mental health, according to Bob Coles of Meridian Health Services. On Jan. 23, Coles will be a part of the “Protecting our children” community forum, a time to openly discuss concerns regarding mental health in Delaware County. After the shootings in Newtown last month, mental health professionals wanted to address mental health issues in a larger format — especially the faulty belief that people with these behavioral issues are prone to violence. Parents and teachers are faced with the challenge of discussing the recent tragic school shooting in Newtown, Connecticut with young children. Although these may be difficult conversations, they are also important. MUNCIE — The city - and especially its children - lost a “walking angel” Tuesday when Eileen Moore, a child advocate in her personal and professional life, passed away after her long fight with cancer. As the program manager for the Child Advocacy Center, a division of Meridian Health Services’ Suzanne Gresham Center, Moore regularly counseled child victims of unspeakable crimes with such compassion and serenity, she was often credited with giving mothers back their children. Free Webinar on Understanding Depression: How to Help Yourself or a Loved One. For many of us, October is a time to focus on baseball. One in five Major League Baseball teams will be entering into the postseason having just won their division, and will captivate us on their quest to win the pennant. Approximately 20 million Americans will watch the World Series on television, and thousands more will spend an average of $500 to watch a game in person. Fewer Americans are likely aware that the first full week of October is also Mental Illness Awareness week. Yet, mental illness is an issue that affects many more of us each year. In any given year, one in five Americans will experience a mental illness. She was a junior in high school when she knew what her life’s work would be. “I was part of a mentorship program even then working with troubled kids. I mentored a first- and sixth-grader once a week. I’d go into their school and we’d talk,” said Margaret Richardson, the Children’s Services Regional Clinical Manager at Meridian Services. At a LifeTouch photo booth, Nikki Lyons of Muncie was taking a moment to get ID pics of her son, Keanan, 7, and stepson, Jordan, 6. At The Villages’ Healthy Families booth in the gymnasium, Kim Windjack, supervisor, noted that the day at Meridian Health Services Fun Fair 2012 was a momentous one. On a mildly hot Saturday afternoon in August, about 3,000 visitors gathered outside the Suzanne Gresham Center on Muncie’s west side for the fifth annual Fun Fair, held by Meridian Health Services. Lillyan Davis,5, gets her blood pressure taken during the 2012 Meridian Health Services Fun Fair. Standing behind the main stage at the Meridian Fun Fair, waiting for his cue, Yorktown’s Seth Cook chatted about his motivation in participating in this fifth annual event. MUNCIE — Whether the focus is on health and wellness or on a fun day out of the house, the fair at the Suzanne Gresham Center is geared toward keeping children safe and happy. For the fifth year, inflatable houses will line the center’s parking lot as children wait their turn to bounce from wall to wall, bumping into new friends and laughing along the way. A pizza lunch will fill their bellies while parents learn about local programs that could broaden their children’s horizons. Meridian Health Services’ Dr. Sarfraz Khan says timeless truths are just what the doctor ordered. His grandfather was a scientist. He graduated from medical school and is a board-certified psychiatrist for Meridian Health Services. He has many cousins that are medical doctors. Two of his children may also become physicians. Yet the most important lessons and timeless truths for Dr. Sarfraz Khan didn’t come from higher education. They came from his mother during his formative years living in Pakistan. Be kind. Help people. Remember how important family is. MUNCIE -- There may be no such a thing as "the perfect mother," but Eileen Moore comes pretty close. Kind yet firm, loving but not a pushover, always sharing a warm smile when discussing her children and the joys of motherhood, she is the epitome of a mother as nurturer. MUNCIE -- A Chicago developer has picked a new location for Muncie's first "supportive housing" project, a proposed $7 million, 44-unit apartment building focused on preventing and ending homelessness. Meridian Services is more than just Central Indiana’s premier provider of quality behavioral health services. It’s true that individuals with challenges can find expert and compassionate treatment at Meridian Services, but where Meridian really shines is in its dedication to a higher quality of care through the integration of health services. Believing that total health means a balance of mental, physical and social well-being is one of Meridian’s many goals, according to Medical Director, Dr. Sarfraz Khan. As a local health care system driven by community leaders, Meridian Services cares about and is committed to improving the lives of Central Indiana residents. Meridian Health Services is proud to have two of the top ten finalists for the 2011 Person of the Year, Eileen Moore and Scott Smalstig. Hank Milius has been president and CEO of Meridian Services for almost exactly 10 years, but hadn’t stopped to think about when the precise anniversary might be. At events like Fun Fair, Bob Coles seems to be everywhere– and wherever he’s not, someone is probably looking for him. He’s touching base with participating vendors, making sure everything is going smoothly and trying to resist the urge to try out the inflatable games himself. While visiting the Gresham Center Fun Fair, Megan Templin talks about what Meridian Services has done for her family. In a 22-year medical career, Dr. Sarfraz Khan has been a trauma physician in emergency rooms, a primary care doctor and a psychiatrist. He now directs medical care at Meridian Services, including both psychiatric and physical care. The combination of services provided through the Meridian MD program have made a huge impact on the overall health of patients, Khan says. Eileen Moore has been working with children at Meridian Services for 18 years. She started as one of just a handful of clinical social workers on the staff and has been part of the organization’s phenomenal growth. Today, Moore is program manager for the Child Advocacy Center, which is part of Meridian’s Suzanne Gresham Center. There were lines to everything but no one seemed to mind Saturday at the fourth annual Gresham Center Fun Fair. Of all the challenges families face every day, few can be as lonely as those that involve depression or chronic behavioral problems. You’re afraid to talk about it. You think it’s your fault. You don’t even know where to turn for help.